Home » Adventure » Need $1000? Find a Moosehead…a big one. Need $1000? Find a Moosehead…a big one. MASSIVE MOOSE HEAD MISSING! $1000 REWARD IF FOUND! 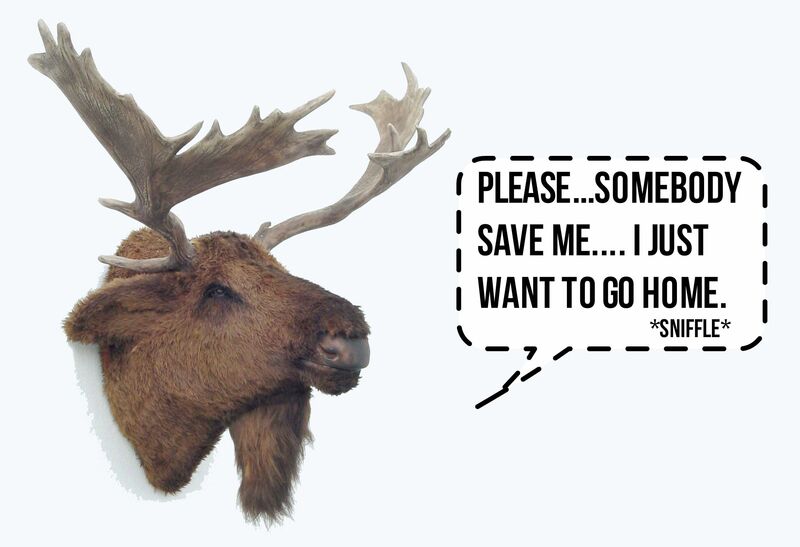 A massive moose head has recently gone missing from the lobby of Sunnyside lodge of Tahoe City. Oh, and here’s the kicker. It’s NOT EVEN REAL! a) have way to much time on their hands and were on a mission for an epic prank. b) are amateurs who did no research at all before investing massive amounts of time to rob a FAUX MOOSE HEAD! c) have some weird, underground deal with the popo who enabled a flawless execution. Either way, the moose is on the loose and now there’s a 1000 reward if found or turned in! So if you’ve got some old college debt to pay off, or want to just really make it rain on the girls over at the gentleman’s club this weekend, here’s your chance to make a quick buck.